320 pages | 34 B/W Illus. How do development and use of new technology relate? How can users contribute to innovation? This volume is the first to study these questions by following particular technologies over several product launches in detail. 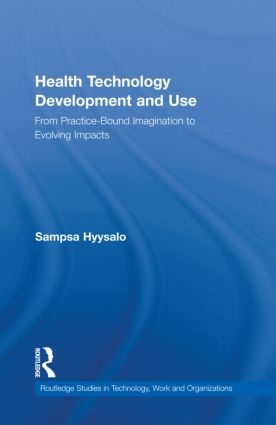 It examines the emergence of inventive ideas about future technology and uses, how these are developed into products and embedded in health care practices, and how the form and impact of these technologies then evolves through several rounds of design and deployment across different types of organizations. • the relationship of technology projects and the professional practices and social imaginations that are associated in technology development, evaluation, and usage. The "biographies of technologies and practices" approach to new technology advanced in this volume offers us urgent new insight to core empirical and theoretical questions about how and where development projects gain their representations of future use and users, how usage is actually designed, how users’ requests and modifications affect designs, and what kind of learning takes place between developers and users in different phases of innovation—all crucial to our understanding and ability to advance new health technology, and innovation more generally. Sampsa Hyysalo is a Fellow in Helsinki Collegium for Advanced Studies and a Docent in Work Informatics in University of Turku. His work explores the relations of design and use in the development of new technologies. He has published over twenty articles on the topic.